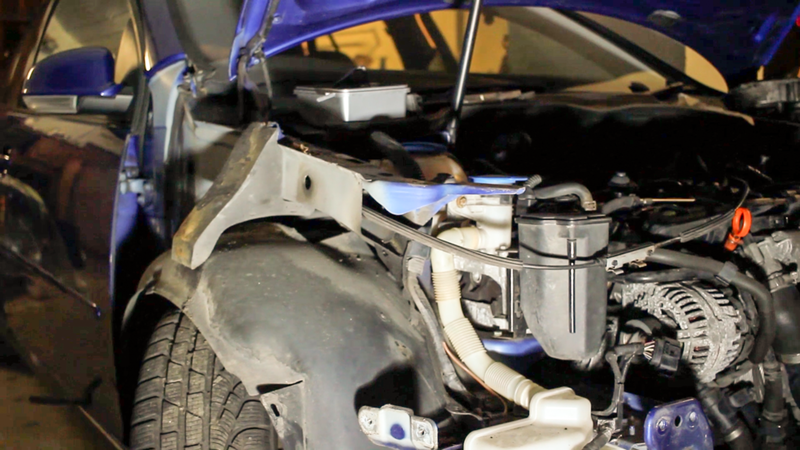 Vw Mk5 Country Gti Part 1: Taking the head off. Hey guys, this week was a bad one for me. Due to food poisoning it's been a slow one. I was in the process to take the head off the engine when it hit. New Project: Building a Mk5 Golf Country GTI! After a year of standing, it is time to revamp my GTI. After having the chain on the good old 2.0 turbo break, the car has been put inside our shop here at Mömus, to await its destiny. First off, the car is a RHD. It was my daily when I worked in Ireland, and could not say goodbye. So it came back home with me, and shortly after had the breakdown. My first thoughts were to rebuild it as a track car, or perhaps to stance it out for weekend use only. However, none of these ideas really motivated me to rebuild it. It had to be worth it. Something different, something new, at least to me. And one morning it hit me, a Mk5 Golf Country GTI, inspired by the Mk2 Country Golf GTI! So lets get started. First thing on the to do list is to take the front apart and and disassemble everything needed to get the engine out. The engine itself has been partly disassembled already, to see what happened to it. Then the front fenders can go too, as they will be way to narrow for what what I have in mind here. Mömus - #stuffforcarguys. We've got second hand cars and parts. We design clothes and accesories, for car guys. Based in Luxembourg. Your information is not shared by us.